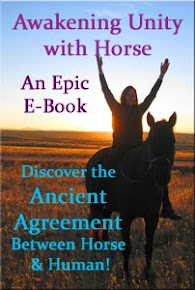 Equi-Heart Pledge: Author Interview 4: The Journey of Life After Death With Horse! Author Interview 4: The Journey of Life After Death With Horse! Have you ever lost a loved one and ached, just ached to feel them once more? In her chapter of Spiritual Adventures with Horse, Constance Funk tells the tale of her mother's passing. But before she makes the journey to the other side, her mom tells her she'll give her a sign when she's around: it will be the wind blowing in her and her horse's hair. Then one day, the wind does blow her hair, not in the usual way, but in a wild, divinely orchestrated musical dance between Connie, her two horses, and a coat of her mother's. It's a heart warming and compelling tale of life after death, facilitated through the herd! 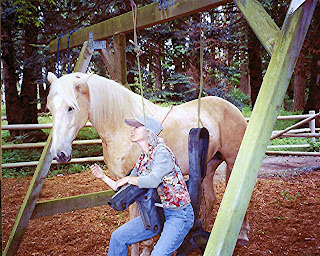 Hear Connie share this tale, plus some ideas on how to connect with your herd in this fascinating interview on a topic we all yearn to understand more, connecting with those on the other side! Head on over to our Author Interview page to listen or download her interview here. 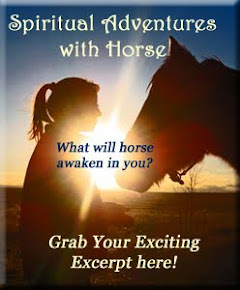 Grab your copy of Spiritual Adventures with Horses, where Connie shares the details of her life after death journey, as well as a comprehensive exercise to guide you in journeying with your horse. Grab your full copy of the e-book, including her special guided exercise here.